Among my father’s possessions, I discovered a world map which traced all his long-distance travels. And what travels they were: before the age of 30 he had lived on three continents. 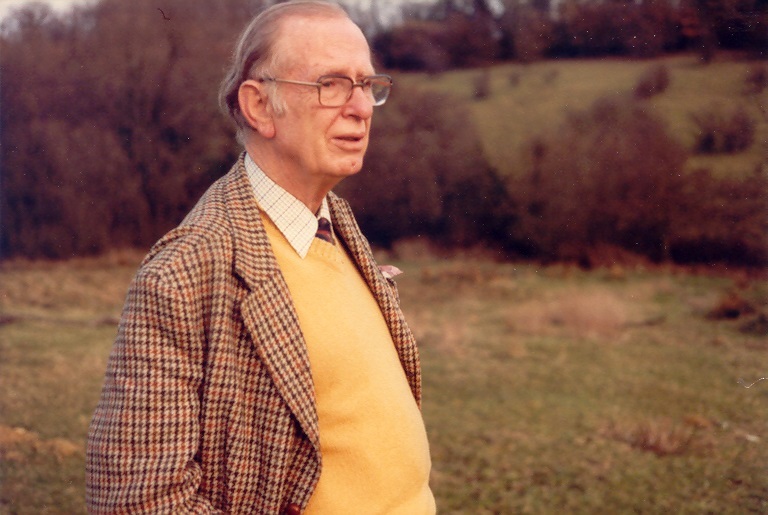 Oliver Nugent was born in the Berkshire village of Peasemore and spent his early years there. His first school was ‘Balmore’ at Caversham near Reading. When he was nine his father, George Nugent, retired from colonial service in Nigeria and took his family back to the ancestral home of Antigua. It was Oliver’s first long voyage by sea, in December 1924, from London to Antigua via Barbados. This was probably the first time he met his paternal grandparents, Oliver and Mary, who spent their entire adult lives in Antigua. 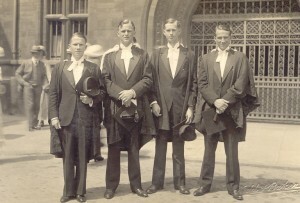 Degree day at Cambridge: 25 June 1935. 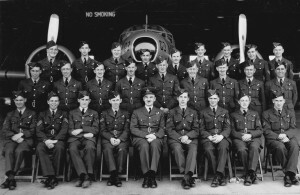 Oliver is second from right. Oliver spent the next eight years in Antigua, attending the boys’ grammar school and travelling no further than the adjacent isles of Dominica, Montserrat, St Kitts and Nevis. Aged 17, he was awarded the Leeward Island Scholarship and returned to Britain (March 1932) to take up a place at Queens’ College, Cambridge. 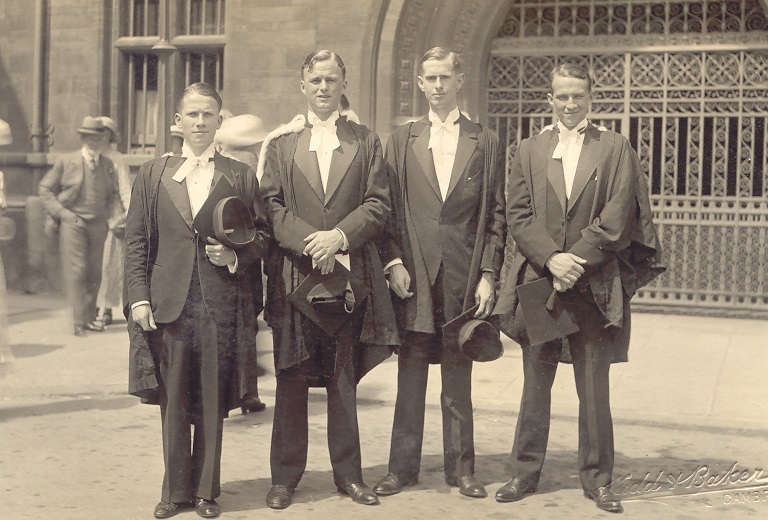 He completed two years, changing his degree subject from mathematics to law, before sailing to Antigua for the long vacation between July and September 1934. 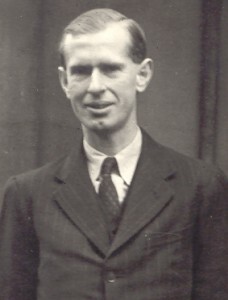 After graduating with a degree in law in 1935, he sailed to Antigua again, returning to Britain a year later (September 1936) to complete his training as a barrister. He was called to the bar at Grays Inn in London on 17 November 1938. His final voyage to Antigua, via St Kitts, was in 1939. 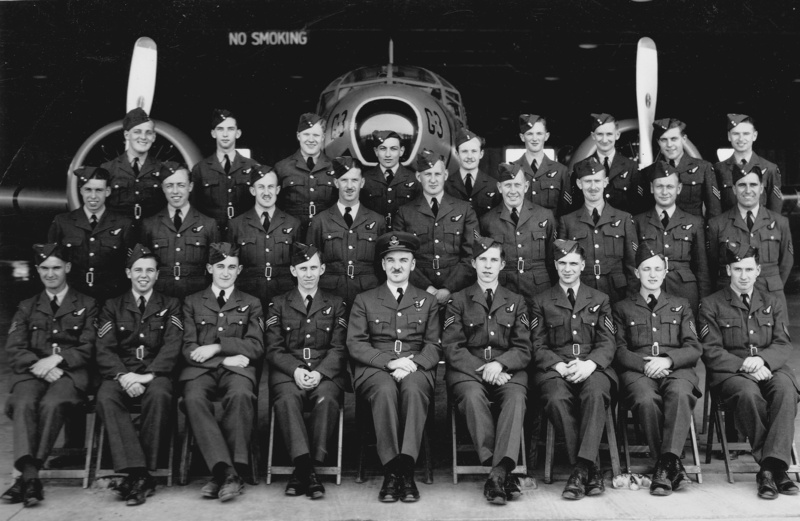 Training in Canada: Oliver is in the middle row, third from right. Oliver started his legal practice in Bank Street, Basseterre, the main town of St Kitts, in 1939 having been admitted to the Leeward Islands bar. In November that year his father died. In Europe war had broken out and it became increasingly clear that it would last some time. It was no longer safe to make the long Atlantic crossing outside the escorted convoys of the North Atlantic. Oliver’s mother, Gladys, moved to Bermuda to be closer to her two youngest sons studying in England. Oliver himself made plans to ‘join up’ but had to wait till he was released from his legal duties after the circuit judge had visited St Kitts. His permission to travel came through in 1942 and he set sail from St Kitts via Antigua, St Thomas and Puerto Rico for Norfolk, Virginia, in the US in November that year. The following month he sailed in a convoy from New York to Cardiff. 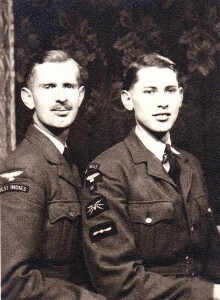 In Britain he joined the RAF and underwent training at Cambridge and Stratford upon Avon – being granted leave long enough to marry my mother, Mary Tudor Witty, on 11th September 1943, before crossing the Atlantic again, from Gourock near Glasgow to New York, to continue his training in Canada at Montreal and New Brunswick. He often reflected on the irony of his having crossed the Atlantic from New York to join up only to be sent back to New York, though added that at least he had acquired a wife even if they hardly had time for a honeymoon. It was over a year before they saw each other again! In 1944 Oliver’s training as a navigation officer on Liberators took him to Miami and the Bahamas, close to his teenage home. He also found time to travel by train across the US to visit his younger sister, Joyce, and brother-in-law Tony Robertson and their three small boys who were based at Seattle with the Royal Navy. Training completed, in January 1945 Oliver set sail from Halifax, Nova Scotia for Liverpool. The war in Europe was almost over but there was no sign that the war against Japan would end soon. 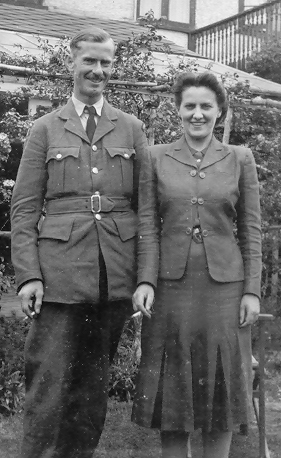 In April 1945 Oliver, now a qualified navigator with the rank of Flying Officer, set sail on the SS Mauritania which was commandeered as a troop ship, destination unknown, such was wartime secrecy, though both he and Mary assumed he was bound for Asia. He sailed through the Mediterranean Sea, pausing at Port Said, and then to Bombay. It was to be 13 months before he returned to Britain. He hoped to meet his youngest brother Nick who was serving in the Indian Army on the North West Frontier but I don’t believe they did meet. 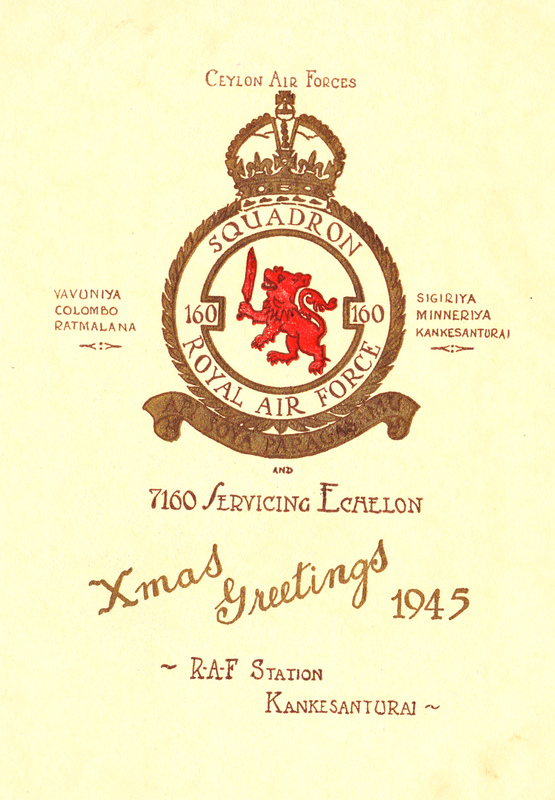 From Bombay Oliver and fellow squadron members travelled by train to Calcutta and then down the east coast of India, crossing the Palk Straits to the island of Ceylon. 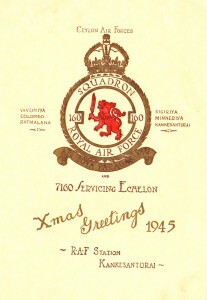 His home for the next seven months was the air base of Minneriya in the north of the island where he joined 160 Squadron. From there he flew sorties dropping supplies to jungle-based troops of Force 136 behind Japanese lines in Malaya and Sumatra and propaganda leaflets to local populations. The furthest trajectory south were the Cocos Islands between Java and Australia, the furthest east was Singapore. He also flew over Bangkok, and Cawnpore (Kanpur) in north India. After the Japanese war ended in August 1945, Oliver was promoted to Flight Lieutenant and transferred to Singapore to use his legal skills in the Armed Forces’ Judge Advocate’s Department. He was there from December 1945 until being ‘demobbed’. He was billeted at the Goodwood Park Hotel and worked nearby at Tanglin Barracks. His cases included defending servicemen charged with incitement to mutiny. He also defended service clients in Rangoon, Burma. 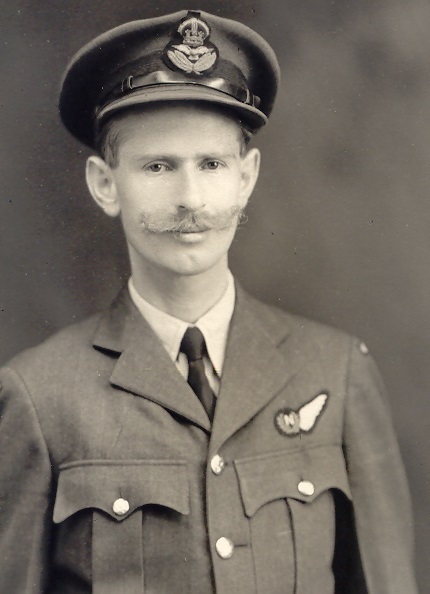 When he was eventually released from military duties to return to Britain, his flight made refueling stops at Rangoon, Cairo and somewhere in the Libyan desert! 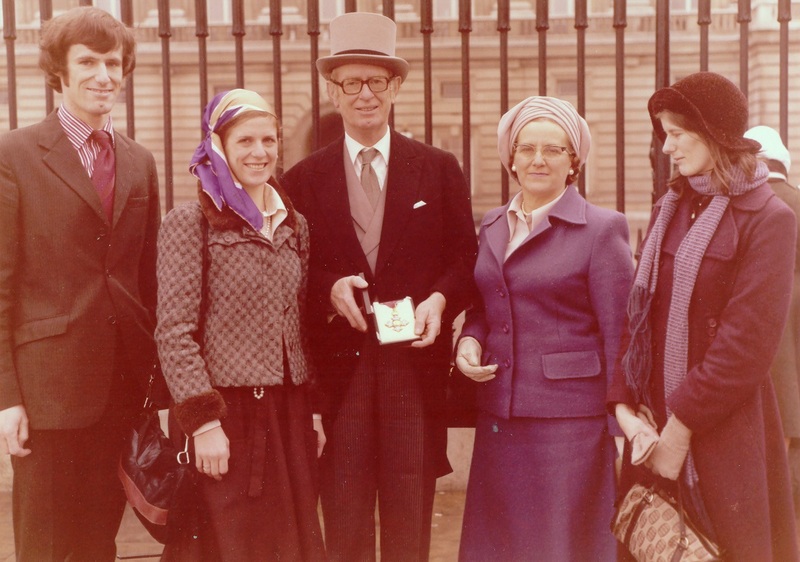 Oliver and Mary resumed their family life, living first at Sussex Gardens in London then at Beckenham, Kent, within easy reach of Mary’s parents at Whitstable. First daughter Ann was born in 1945 while Oliver was serving abroad; Nicholas followed in 1949 and Caroline in 1953. Mary was a full-time mother, indulging her passion for poetry once the children went to school. After the war, Oliver’s mother Gladys settled in the Wiltshire village of Aldbourne. The family house in Antigua had been sold and all surviving siblings were in Britain or variously Malaya, Nigeria, Nyasaland and Rhodesia. Osbern George, who trained with Oliver in Canada, never returned from war service. Serving with the Polish air force, his plane was shot down near Arnhem. Awarded the CBE in 1976, Oliver with family (from left) Nicholas, Ann, Mary and Caroline. 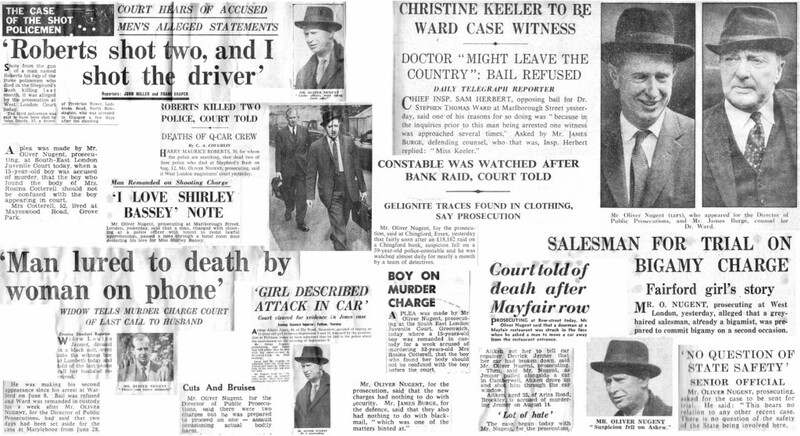 cold-blooded murders of three policemen in Shepherds Bush for which Harry Roberts and others were convicted. He was involved in the prosecution of the Kray brothers and, perhaps most notorious of all, the series of cases around 1963 involving Christine Keeler, Mandy Rice-Davies and Stephen Ward. It gives me no pleasure to think that Stephen Ward, whose trial for living off immoral earnings I attended, is considered now to have been the scapegoat for an establishment embarrassed by the Profumo Scandal. Oliver never again travelled outside Europe; the farthest he ventured were – by ferry and car – Belgium, France, Germany and Switzerland and, later on, Denmark, Norway and Sweden where daughter, Ann, was a dancer with the Gothenburg Ballet. He retired as Assistant DPP in 1985 after 29 years, having been appointed CBE. He kept in touch with Antigua though never revisited the island but followed discussions about its independence with enthusiasm, passing up the chance to become its Attorney General. A life-long passion of Oliver’s was stamp collecting. He also enjoyed gardening though never achieved his ambition of growing a pineapple from its stem as he had seen done in his native Antigua; not even the warmest room in the house provided the right tropical environment! In his retirement he gave more time to genealogy, becoming a fellow of the Irish Genealogical Research Society. From his efforts this website was created. Oliver loved coincidences, possibly because, as he boasted, he had been born 700 years to the day after King John set his seal on the Magna Carta. Two family related ones were that his Nugent grandparents were also Oliver and Mary; and after living at Scotts Hill in Antigua his family home at Beckenham was in Scotts Lane! 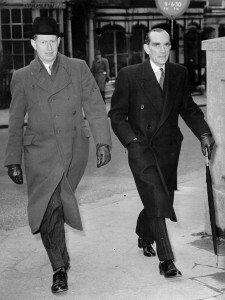 Sources: family papers and photographs; newspaper cuttings assembled by Ben Nugent; picture with the Director of Public Prosecutions courtesy of the London Evening Standard.